It has long been no mystery to my friends that any day that includes both swimming and ice cream is a ’10’ in my assessment. 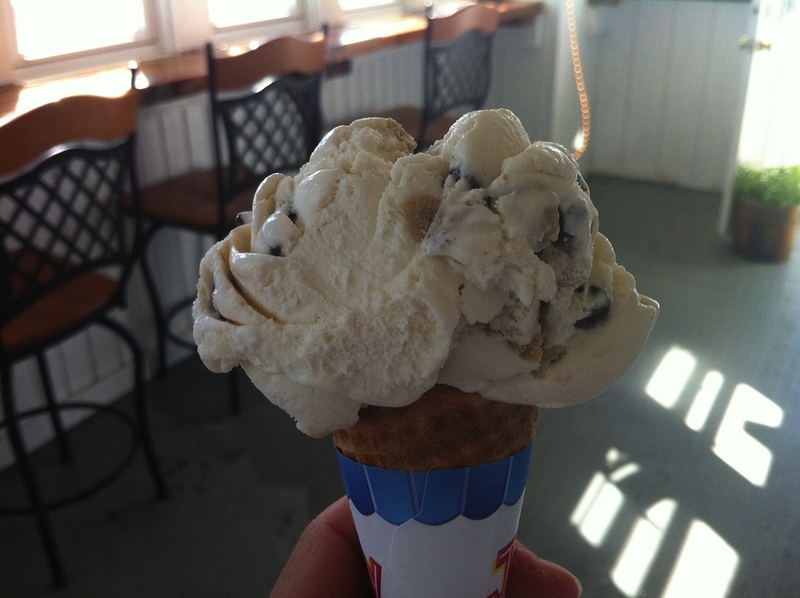 Maybe that’s why The Sweet Spot in Narragansett remains one of my favorite ice cream shops in the state — I don’t think I have ever been there without having first spent the day swimming at the beach. Although I usually come from one of the many beaches within a short driving distance, Sweet Spot happens to be located directly on the water, in front of Salty Brine State Beach, so close that it may even be possible to be swimming while eating ice cream. They have the usual flavors — vanilla, chocolate, strawberry — and all are homemade, but I usually go for their Black Raspberry Chip (yogurt or ice cream) or Chocolate Chip Cookie Dough or, my favorite, Coconut Chip. Coconut chip sounds amazing! We’ve added this to our list of places to visit! I can attest this place has the best ice cream! Perfect on those summer days.